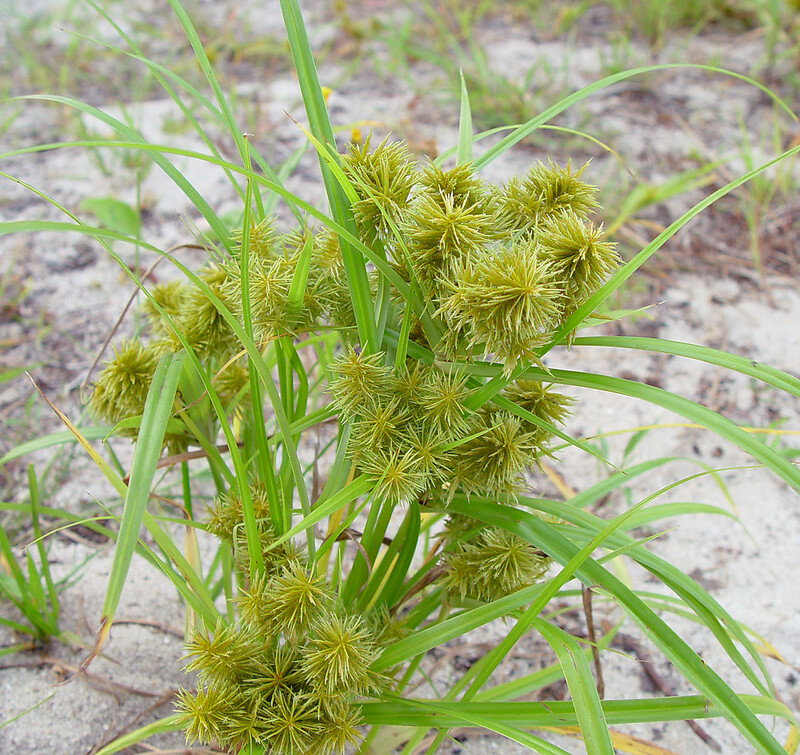 Cyperus strigosus plant. By Arthur Haines. Copyright © 2018. New England Wild Flower Society. gobotany.newenglandwild.org (Accessed 2/2018). Cyperus is a genus of grass-like herbs stems usually solid, usually 3-sided, leaf sheath closed. 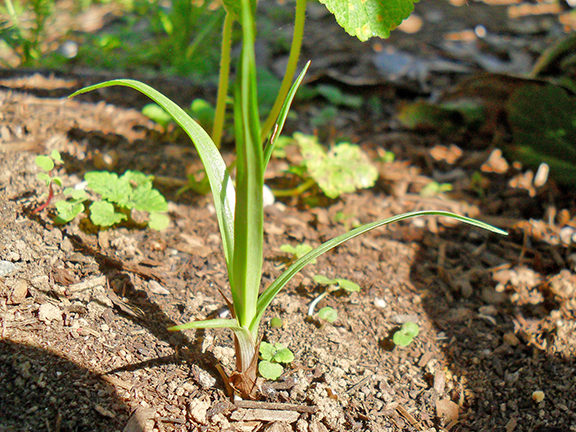 Cyperus esculentus aphyllopodic stem (no blades on leaves at stem base). 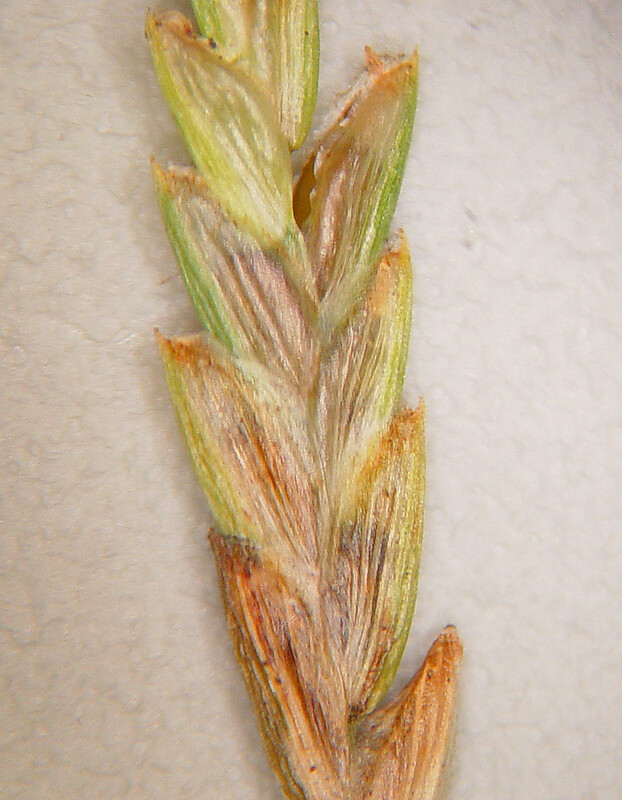 Nutsedge_CC-kimberlystinmann. Capital Region Watershed District. capitalregionwd.org (Accessed 2/2018). Leaves alternate, grass-like, 3-ranked, veins parallel, lower leaves mostly bladeless (aphyllopodic), upper leaf with elongate blade. Cyperus lupulinus flowers with scales. By Arthur Haines. Copyright © 2018. New England Wild Flower Society. gobotany.newenglandwild.org (Accessed 2/2018). 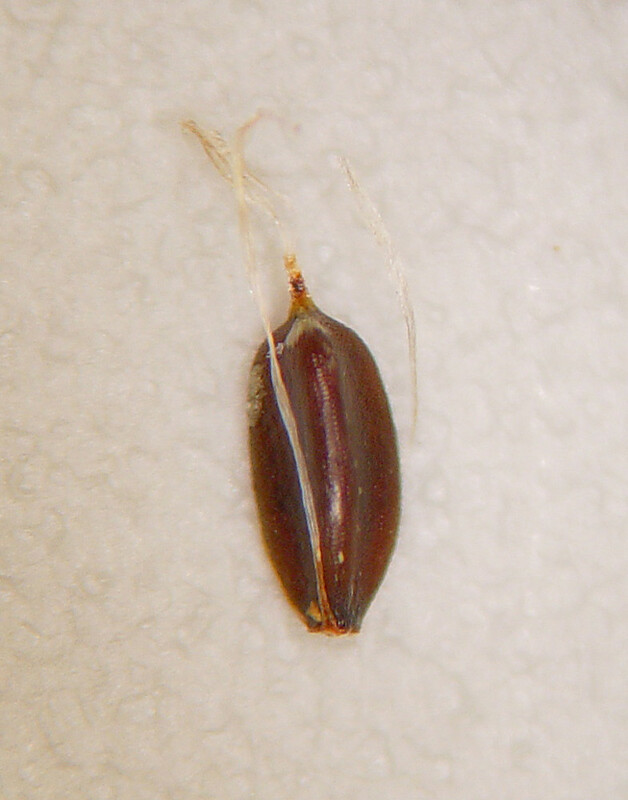 Cyperus lupulinus flower and fruit. By Arthur Haines. Copyright © 2018. New England Wild Flower Society. gobotany.newenglandwild.org (Accessed 2/2018). Flower spikelets each subtended by a scale, scales in two ranks (distichous), the lowest one empty, no sepals or petals, stamens usually 3, vary superior, style cleft in 2 or 3 parts; inflorescence of spikelets in loose or dense heads or spikes in an umbrella-like arrangement (umbel) of rays subtended by elongate, leaf-like bracts without sheaths; wind pollinated.